Ace Combat 7 Multiplayer Trailer Revealed - Get your wingman ready! Home Latest Gaming News Ace Combat 7 Multiplayer Trailer Revealed – Get your wingman ready! Today we have a new Ace Combat 7 multiplayer trailer as the title gets closer to release on the PS4, Xbox One and PC. Brought to you by Bandai Namco, this is air combat simulator could be a real Maverick (sorry) title for January to grab your attention. 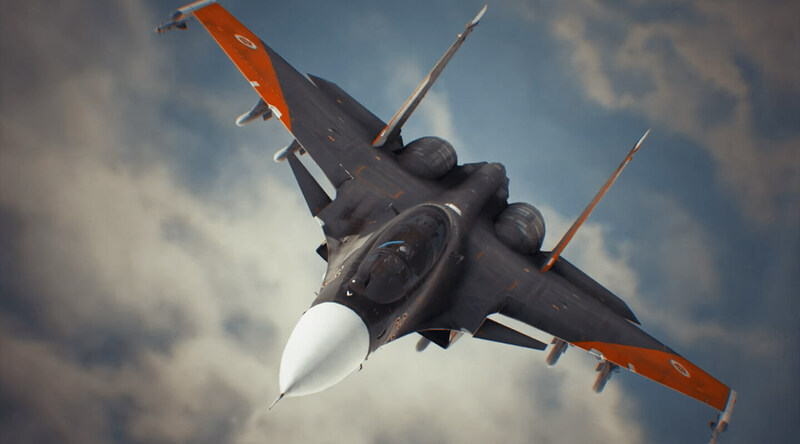 Ace Combat 7 will release on the 18 January 2019 (PC version on 1 February 2019) and it’s a title we’re looking forward to here at MGL. Mainly for the cool looking multiplayer and Top Gun quotes. Check out some info on Ace Combat 7 below guys along with the trailer on the page. For more on upcoming games, go to our 2019 games hub here. More on Ace Combat 7 is here. Players can take to the skies in 28 aircraft (with additional aircraft available as part of the Deluxe Edition and as a preorder bonus). Personalising their planes with more than 100 enhanced parts and weapons, and with over 300 emblems and nicknames as well, to tailor their equipment to best suit their play style. During a match players that have the highest rank will be highlighted in-game, putting a ‘bounty’ on their heads for the other players. And providing a higher score bonus to those that take them down. Players will therefore have to build a surefire strategy to stay two-steps ahead of the competition, to survive and claim victory.